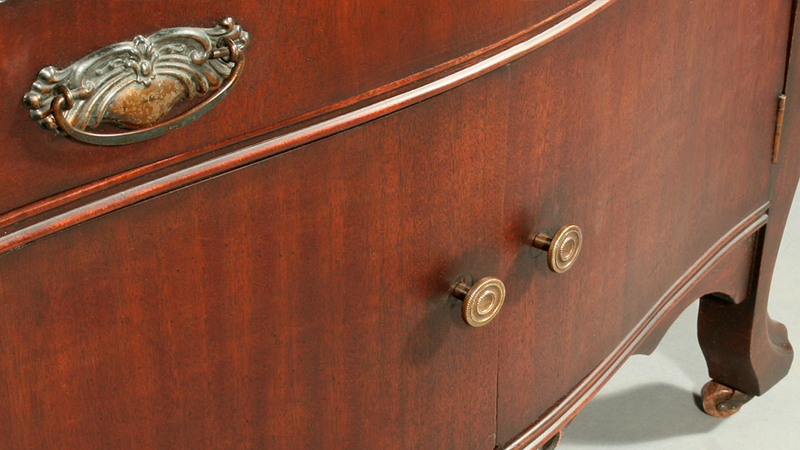 Dresser on Caster Wheels — Bernacki & Associates, Inc. Mother Cabini’s dresser arrived at Bernacki & Associates in remarkably poor condition. The whole piece was structurally unstable with all joints and panels loosening from frame. Veneer at its top was badly cracked. 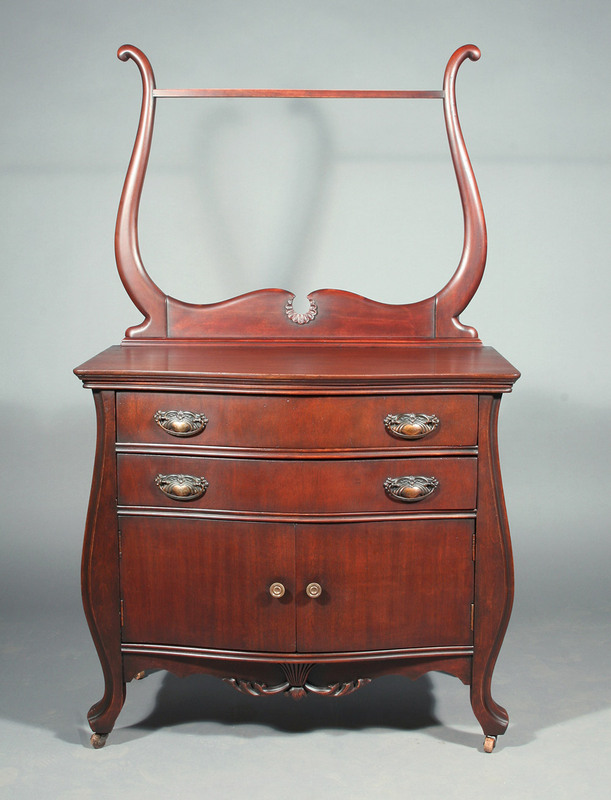 The dresser drawers were warped, separating, and mottled with splits significant enough to reveal slivers of light. Not only had time had taken its toll on the historic relic, prior attempts at restoration exacerbated the situation. Rather than seamlessly integrated, structural repair was noticeable to the naked eye. Even worse, previous efforts to refinish the dresser and towel rack via cross sanding with low grit sandpaper left the entire dresser with permanent damage - line indentations embedded against the grain of the wood. Low quality finish and inconsistent sheen both magnified these indentations and tinted the piece an unappealing shade of orange. The first imperative was to stabilize the structure. Injections of glue and installation of reinforcement brackets made for a sturdy interior. Lifting veneer was reattached, losses in-filled, and splits repaired throughout the structure. Next, the finish was corrected. Bernacki & Associates produced a finish sample for final approval. After gently removing the top layers of problematic finish, all surfaces were lightly sanded, minimizing the appearance of prior damage. Staining was carefully controlled to further limit exposure of the indentations then shaded for a consistent appearance. After a clear coat with satin, semi-open grain and nitrocellulose lacquer, the salvation of Mother Cabrini’s dresser was finally complete.